The Weinstein scandal and subsequent #MeToo movement have meant that sexual harassment has become a subject of great debate since October last year. It has been overwhelming to be faced with such relentless discussion on the topic but, in the opinion of many, including myself, absolutely necessary. However, something troubling is happening. When I say that people are panicking, I do not mean about the prevalence of sexual harassment. People are panicking about the power shift. We always knew sexual harassment was happening*. For many, facing sexual harassment of some kind is an element of daily life. From being shouted at in the street to receiving inappropriate sexual comments at work, it's there at every turn whether we acknowledge it or not. Therefore it's hardly surprising that there's no 'panic' about harassment in this sense. It is always sad to hear another story but, let's be honest, nobody is saying, 'Oh my goodness, now that I know sexual harassment is so ubiquitous I'm panicking that I'll be harassed!' If you were conscious of, or concerned about, being sexually harassed or abused or attacked (as almost every woman I know is), these news stories have not changed that. They are, I believe, beginning to change how we might respond to the harassment, but not whether we worry about the potential for it to happen in the first place. This outpouring does, however, seem to have made some people panic about change. Men are panicking about who they can flirt with and when. Some French women are panicking that it's turned into a witch-hunt. Giles Coren is panicking that he can't wear his 'nice shirt' in public. Fires everywhere. Let's have a reality check, shall we? It's been three months. Three months of people feeling like they can speak out and maybe have a chance of being supported rather than shot down. Three months of discussing an issue that wasn't considered 'appropriate' to talk about until recently. The French manifesto signed by Catherine Deneuve is claiming of the #MeToo movement that 'the purging wave seems to know no bounds.' It's been THREE MONTHS. The manifesto declares, bizarrely, that 'A woman can, in the same day, lead a professional team and enjoy being a man’s sexual object, without being a "whore" or a vile accomplice of the patriarchy'. This is insulting. When we condemn sexual harassment we are not talking about the personal, consensual sexual experiences and feelings of women, even if they involve being a 'sexual object'. And saying that 'she can make sure that her wages are equal to a man’s but not feel forever traumatized by a man who rubs himself against her in the subway, even if that is regarded as an offense [sic]' is suggesting that a woman shouldn't feel traumatised by a man rubbing himself against her on the subway and that it's maybe not an offence. Possibly because she's so grateful at getting equal wages. The assumption is that people truly feel they have the 'freedom to say no'. Surely what many of these stories have told us is that we do not feel we have the freedom to say "no". Cat Person by Kristen Roupenian is a short story that explores this very effectively. So is the recent article on claims against Aziz Ansari. The problem is that, in general, women are socialised to be polite, make people happy, and not make a fuss. This also applies to some men. On the other hand, some people (mainly men) are socialised to be competitive, ambitious, and assertive. This is a terrible cocktail for ineffective communication. This is particularly true given that men and women are told (and to a great extent still believe) that men should 'make the move' and women shouldn't**. So given a generalised heterosexual interaction, on the one hand you have a more aggressive player who is told to 'go for what he wants' and also feels he has to do the propositioning, and on the other you have someone who is told not to upset anybody and that they should be glad to receive attention. What do you think's going to happen? Precisely. If the last three months feels like a 'witch-hunt' to some nervous men, fine by me. Until October 2017 women have pretty much taken the fall for others' sexual misconduct (remember Monica Lewinsky?). Not to mention that women were, by and large, the ones subjected to literal witch-hunts. If men are hesitant about how a simple, friendly, workplace conversation might be perceived, welcome to our world. We're used to navigating those carefully for our own safety. Two days ago, Margaret Attwood wrote a problematic piece in which calls herself a 'Bad Feminist' and talks disparagingly of 'Good Feminists'. She says of them (whoever 'they' are - presumably feminists who disagree with Atwood), 'in times of extremes, extremists win.' It's very unhelpful to be talking about extremists in this situation. Progress and change in society can be brutal. But it is the 'extremists' who create the changes. The Suffragettes were 'extreme'. So was Nelson Mandela. As was Galileo. I don't think Margaret Attwood would consider women's right to vote or racial equality or heliocentrism extreme, and I think that in the future, #MeToo will represent the beginning of an important conversation about consent and harassment rather than the plight of a few 'extremists'. Attwood writes, 'The #MeToo moment is a symptom of a broken legal system.' This is true, but it is not the whole truth. Of course I believe that 'innocent until proven guilty' is an important aspect of the system. But we do not live in a society where we are easily able to prove guilt in these cases. Not only can it be difficult to provide evidence, but women are routinely blamed, shamed, and silenced before they can even try. Besides, a lot of the harassment that we encounter is not 'illegal'. It is insidious. It is hurtful and damaging and is a significant part of the picture of sexual harassment as a whole. #MeToo is a symptom of the patriarchy. It is a symptom of power imbalance and fear and entitlement. It is a symptom of people being tired of not being believed. What next, indeed? This is a terrifyingly huge question and while we debate it, I do not think we should attempt to squash the stories of victims of sexual abuse. We need them. While they continue to come, and they will, they will force us to keep considering 'what next'. Yes, a change in the legal system. But hopefully also a change in society and the way we think about each other and treat each other. So, no, I do not think #MeToo has gone too far. The last thing we need to do is panic so much about the enormity of the change this could ignite that we extinguish it entirely. We should use it as a catalyst for change. There are other considerations in this debate. 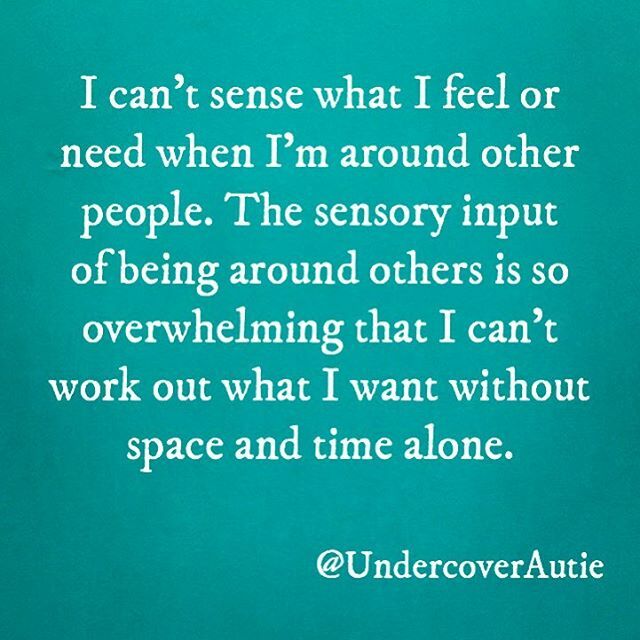 I am autistic and like many autistic people I sometimes struggle reading people's intentions. I can appear quite naive and even though I know that people do terrible things, I never really believe that anyone has bad intentions. I don't communicate in quite the same way as neurotypical people tend to and this includes interpreting others' communication, verbal or otherwise. I also find it very difficult to know what I want and how I feel, particularly in the company of others. Clearly, this complicates things. This is what I will write about next. I am a passionate feminist and am invested in the #MeToo movement as a woman and as a human being. But it has particular implications for the autistic community. *I suppose when I say 'we', I mean women. I cannot speak from a male perspective. ** I apologise for being so binary in my discussion of gender.